CIT Vs. Sunbeam Auto Ltd.
A.K. Sikri And Valmiki J. Mehta, Jj. 2. In order to appreciate as to under what circumstances, the question of law has arisen for our consideration, it would be necessary to take stock of the facts as they appear on the records of the case. 3. The respondent (hereinafter referred to as ‘the assessee’) is a company engaged in the business of manufacturing certain auto parts and has been supplying the same to various car manufactures in India. It has filed its return for the assessment year 2001-02 declaring an income of Rs. 9,57,53,430. 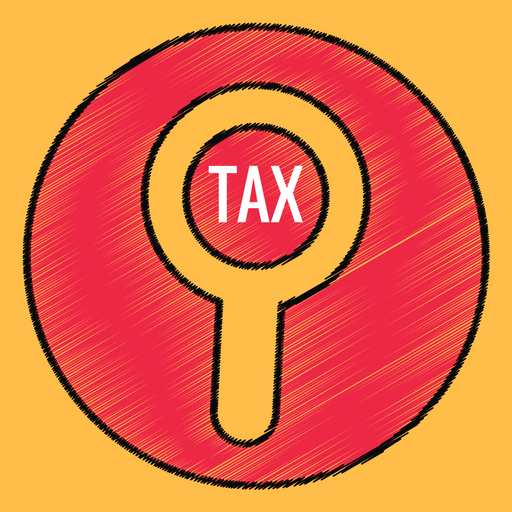 The return was taken up for scrutiny and ultimately assessed under provisions of section 143(3) of the Income-tax Act (hereinafter referred to as ‘the Act’). On that basis, the assessment order was framed on 6-2-2003. 4. The Commissioner of Income-tax-III, New Delhi examined this file and felt that the assessment order was perfunctory and erroneous and it was prejudicial to the interest of the revenue. According to the CIT no detailed investigation had been carried out by the Assessing Officer while making the assessment. Solitary objection of the Commissioner related to the expenditure on tools and dyes aggregating to Rs. 10,56,69,367, which was claimed as revenue expenditure and was allowed as such. According to the Commissioner, he noticed that otherwise substantial expenditure during the year and details of the expenditure filed before the Assessing Officer also showed that the cost of some of the dyes exceeded crores of rupees. The CIT accordingly issued notice on 3-11-2004 to the assessee to show cause why appropriate order under section 263 be not passed by him with a view to correct the lapse committed by the Assessing Officer. (ix)Recording of dyes in the store record as of consumable items. 7. The assessee also gave further details and supporting documents to prove as the purchase of dyes by the assessee and the date of replacement of old dyes by new one showed that it needed replacement. Some such purchases made from the outside parties including Maruti Udyog Limited, a major buyer of the assessee’s products and some dyes had been produced in house as well. After considering all these materials, the CIT took the view that the accounting practice followed by the assessee to debit the entire cost of tools and dyes in the year of installation was not correct and he remitted the case back to the Assessing Officer for re-examination of all aspects of the issue of allowability of tools and dyes expenses and reframed the assessment. The detailed order passed by the CIT in this behalf reveals that the CIT took up certain items of purchase for discussion value whereof exceeded Rs. 10 lakhs in respect of item ‘die lower and upper transmission case’ cost of which was Rs. 4,33,46,245. The CIT found that a set of two dyes – one lower portion and one upper portion – was purchased from Maruti Udyog Ltd. on 14-2-2001. The cost of each was divided at Rs. 2,16,73,124; new lower dye purchased on 14-2-2001 was replaced by the old dye on 28-2-2001 from which he concluded that this new dye was used only for one month during the previous year under consideration and entire cost of dye was debited against the profits and loss account, which was accepted by the Assessing Officer. According to the CIT, if the dyes were treated to be capital assets, the assessee would have been entitled only 50 per cent of the eligible depreciation since the dye was used for less than 180 days. Even if, it was not to be treated as capital assets, then also only the proportionate cost of the dye, determined with reference to, say, the number of parts manufactured from it during the previous year could not have been claimed as revenue expenditure. “18. It thus becomes clear that the accounting practice following by the assessee of debiting the entire cost of expensive dyes having lifespan of a year or more in the year of installation itself without considering the balance exploitable potential of the dies is not a proper practice. For these reasons, he wanted the Assessing Officer to re-examine ‘all aspects of the issue of allowability of tools and dyes expenses and reframe the assessment’. (a)From financial year 2000-01, it became an independent company and followed the same accounting practice. (b)CIT had given a finding that the life of dyes was approximately one year or so. Thus, CIT failed to appreciate that with this life span of the dyes, the assessee was not deriving any enduring benefit so as to treat it as the capital expenditure. (c)The assessee was a manufacturer of car parts and in this manufacturing process, dyes are fitted in the machines by which the car parts are manufactures. Therefore, it was a case of replacement of burnt out, and not new one so as to treat as capital expenditure. By replacing these dyes, the life of existing machines was not enhanced either with the replacement of these parts, production capacity remains the same. The judgment of Karnataka High Court in the case of CIT v. Mysore Spun Concrete Pipe (P.) Ltd. 194 ITR 159 was relied upon, whereof replacement of moulds, which was a part of the machinery was treated as revenue expenditure. (d)Though the CIT initiated the proceedings on the ground that the expenditure incurred on dyes was a capital expenditure, while passing the final order be could not arrive at a definite finding that the expenditure was capital in nature, but remitted the matter back to the Assessing Officer to re-examine the issue as to whether the expenditure incurred on dyes and tools was revenue or capital expenditure. Such an order in exercise of power under section 263 of the Act could not be passed as held by the Bombay High Court in CIT v. Gabriel India Ltd. 203 ITR 108 . (e)Since the CIT had not come to a definite finding, this order itself showed that two views were possible and in a case life this, proceedings under section 263 were clearly erroneous as held by the Supreme Court in the case of Malabar Industrial Co. Ltd. v. CIT 243 ITR 83 . (i) CIT v. Saravana Spg. Mills (P.) Ltd. 293 ITR 201(SC). (ii) CIT v. Seshasayee Paper & Boards Ltd. 242 ITR 490 (Mad.). ‘The simple test that must be constantly borne in mind is that as a result of the expenditure which is claimed as an expenditure for repairs what is really being, done is to preserve and maintain an already existing asset. The object of the expenditure is not to bring a new asset into existence nor is its object the obtaining of a new or fresh advantage. This can be the only definition of “repairs” because it is only by reason of this definition of repairs that the expenditure is a revenue expenditure. “14. The Tribunal, however, held that since the entire liability to pay the discount had been incurred in the accounting year in question, the assessee was entitled to deduct the entire amount of Rs. 3 lakhs in that accounting year. This conclusion does not appear to be justified looking to the nature of the liability. It is true that the liability has been incurred in the accounting year. But the liability is a continuing liability which stretches over a period of 12 years. It is, therefore, a liability spread over a period of 12 years. Ordinarily, revenue expenditure which is incurred wholly and exclusively for the purpose of business must be allowed in its entirety in the year in which it is incurred. It cannot be spread over a number of years even if the assessee has written it off in his books over a period of years. However, the facts may justify an assessee who has incurred expenditure in a particular year to spread and claim it over a period of ensuing years. In fact, allowing the entire expenditure in one year might give a very distorted picture of the profits of a particular year. Thus in the case of Hindustan Aluminium Corpn. Ltd. v. CIT, Calcutta-I, the Calcutta High Court upheld the claim of the assessee to spread out a lump sum payment to secure technical assistance and training over a number of years and allowed a proportionate deduction in the accounting year in question. He reiterated that in the present case, the tools and dyes had a very short span of life and it could produce up to maximum 1 lakh permissible shorts and have to be replaced thereafter to retain accuracy, as explained by the assessee before the CIT duly noted by the CIT in his order. He further pointed out that most of the parts manufactured are for the automobile industries which have to work on complete accuracy at high speed for a longer period. It was further explained that since it is an ongoing procedure, a company had produced 10,75,000 sets whose selling rates is inclusive of the reimbursement of the die’s cost. The purchase orders indicating the costing includes the reimbursement of dyes costing where produced before the Assessing Officer. It was explained that since the sale rate includes the reimbursement of dyes cost in order to have the matching effect, the cost of the dyes has been claimed as revenue expenditure. Learned counsel also extensively read from the judgments, which are taken note of by the Tribunal in its order. “. . . From a reading of sub-section (1) of section, it is clear that the power of suo moturevision can be exercised by the Commissioner only if, on examina-tion of the records of any proceedings under this Act, he considers that any order passed therein by the Income-tax Officer is ‘erroneous insofar as it is prejudicial to the interests of the revenue’. It is not an arbitrary or unchartered power. It can be exercised only on fulfilment of the requirements laid down in sub-section (1). The consideration of the Commissioner as to whether an order is erroneous insofar as it is prejudicial to the interests of the revenue must be based on materials on the record of the proceedings called for by him. If there are no materials on record on the basis of which it can be said that the Commissioner acting in a reasonable manner could have come to such a conclusion, the very initiation of proceedings by him will be illegal and without jurisdiction. The Commissioner cannot initiate proceedings with a view to starting fishing and roving enquiries in matters or orders which are already concluded. Such action will be against the well-accepted policy of law that there must be a point of finality in all legal proceedings, that stale issues should not be reactivated beyond a particular stage and that lapse of time must induce repose in and set at rest judicial and quasi-judicial controversies as it must in other spheres of human activity. [See : Parashuram Pottery Works Co. Ltd. v. ITO 106 ITR 1 (SC) at page 10]. From the aforesaid definitions it is clear that an order cannot be termed as erroneous unless it is not in accordance with law. If an Income-tax Officer acting in accordance with law makes a certain assessment, the same cannot be branded as erroneous by the Commissioner simply because, according to him, the order should have been written more elaborately. This section does not visualise a case of substitution of the judgment of the Commissioner for that of the Income-tax Officer, who passed the order unless the decision is held to be erroneous. Cases may be visualised where the Income-tax Officer while making an assessment examines the accounts, makes enquiries, applies his mind to the facts and circumstances of the case and determines the income either by accepting the accounts or by making some estimate himself. The Commissioner, on perusal of the records, may be of the opinion that the estimate made by the officer concerned was on the lower side and left to the Commissioner he would have estimated the income at a figure higher than the one determined by the Income-tax Officer. That would not vest the Commissioner with power to re-examine the accounts and determine the income himself at a higher figure. It is because the Income-tax Officer has exercised the quasi-judicial power vested in him in accordance with law and arrived at conclusion and such a conclusion cannot be termed to be erroneous simply because the Commissioner does not feel satisfied with the conclusion. . . . There must be some prima facie material on record to show that tax which was lawfully exigible has not been imposed or that by the application of the relevant statute on an incorrect or incomplete interpretation a lesser tax than what was just has been imposed. 15. Thus, even the Commissioner conceded the position that the Assessing Officer made the inquiries, elicited replies and thereafter passed the assessment order. The grievance of the Commissioner was that the Assessing Officer should have made further inquires rather than accepting the explanation. Therefore, it cannot be said that it is a case of ‘lack of inquiry’. 16. Having put the records straight on this aspect, let us proceed further. Is it a case where the Commissioner has concluded that the opinion of the Assessing Officer was clearly erroneous and not warranted on the facts before him and, viz., the expenditure incurred was not the revenue expenditure but should have been treated as capital expenditure ? Obvi-ously not. Even the Commissioner in his order, passed under section 263 of the Act, is not clear as to whether the expenditure can be treated as capital expenditure or it is revenue in nature. No doubt, in certain cases, it may not be possible to come to a definite finding and therefore, it is not necessary that in all cases the Commissioner is bound to express final view, as held by this Court in Gee Vee Enterprises’ case (supra). But, the least that was expected was to record a finding that order sought to be revised was erroneous and prejudicial to the interest of the revenue. [see : Seshasayee Paper & Board Ltd.’s case (supra)]. No basis for this is disclosed. In sum and substance, accounting practice of the assessee is questioned. However, that basis of the order vanishes in thin air when we find that this very accounting practice, followed for number of years, had the approval of the income-tax authorities. Interestingly, even for future assessment years, the same very accounting practice is accepted. 18. Let us look into the matter from another angel. What was the material/information available with the Assessing Officer on the basis of which he allowed the expenditure as revenue? It was disclosed to him that the assessee is a manufacturer of car parts. In the manufacturing process, dyes are fitted in machines by which the car parts are manufactured. These dyes are thus the components of the machines. These dyes need constant replacement, as their life is not more than a year. The assessee had also explained that since these parts are manufactured for the automobile industry, which have to work on complete accuracy at high speed for a longer period, replacement of these parts at short intervals becomes imperative to retain accuracy. Because of these reasons, these tools and dyes have a very short span of life and it could produce maximum one lakh permissible shorts. Thereafter, they have to be replaced. With the replacement of such tools and dyes, which are the components of a machine, no new assets comes into existence, nor is their benefit of enduring nature. It does not even enhance the life of existing machine of which these tools and dyes are only parts. No production capacity of the existing machines is increased either. The Tribunal, in these circumstances, relied upon the judgment of Mysore Spun Concrete Pipe (P.) Ltd.’s case (supra) wherein Karnataka High Court held that the replacement of moulds was not in the nature of replacement of a capital machinery, but in the nature of replacement a part of the machinery which in turn was in the nature of maintenance of machinery installed in the factory. Such an expenditure was treated as revenue expenditure. With this position in law, it is clear that view taken by the Assessing Officer was one of the possible views and, therefore, the assessment order passed by the Assessing Officer could not be held to be prejudicial to the revenue. Such an order thus has rightly been set aside by the Tribunal. In the present case, finding is just the opposite, viz., dyes and tools are part of the machines. Replacing these dyes the purpose is to maintain the existing assets, viz., machine and not to bring a new asset. Moreover, case at hand is not a case of “repairs of machinery” which was the situation is in Saravana Spg. Mills (P.) Ltd.’s case (supra). The present case proceeded on the controversy right from the order of Assessing Officer till ITAT as to whether this expenditure was revenue or capital in nature. Even before us, arguments rested on this aspect. 20. Likewise, whether the Commissioner should have recorded definite finding or not, may not be very relevant factor in the present case where on the facts of this case we have found that the opinion of the Assessing Officer in treating the expenditure as revenue expenditure was plausible and thus there was no material before the CIT to vary that opinion and ask for fresh inquiry. 21. Thus, from whatever the matter is to be looked into, the conclusion would be that the order of the Tribunal does not call for any interference as the question of law has rightly been decided. We, thus, answer this question in favour of the assessee and against the Revenue, consequence whereof this appeal is dismissed with cost. This entry was posted in Section 263 and tagged 332 ITR, Delhi High Court, In favour of Assessee.